Uncover your inner rebel this season with NARS' Holiday 2018 Collection, inspired by the iconic punk fashion of the 70's. 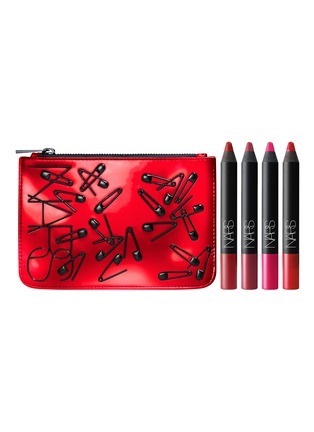 Make a statement at any holiday party with this Riot Velvet Matte Lip Pencil Set. Featuring the curated shades ranging from soft nudes to daring bolds, this kit will get you in the festive mood for any occasion.